You know you were asking for trouble Eric with the short maintenance outage this morning. Ha ha. 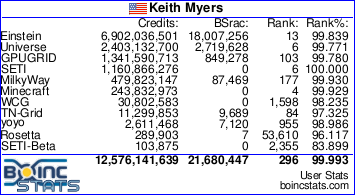 No BOINC STATS update today. 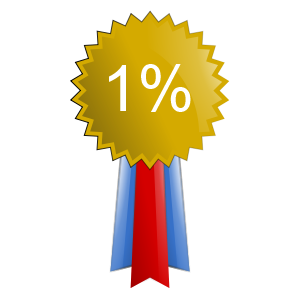 Message 1989227 - Posted: 8 Apr 2019, 0:10:25 UTC - in response to Message 1989165. 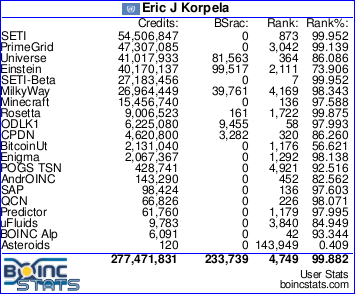 No BOINC STATS update today. Thanks!